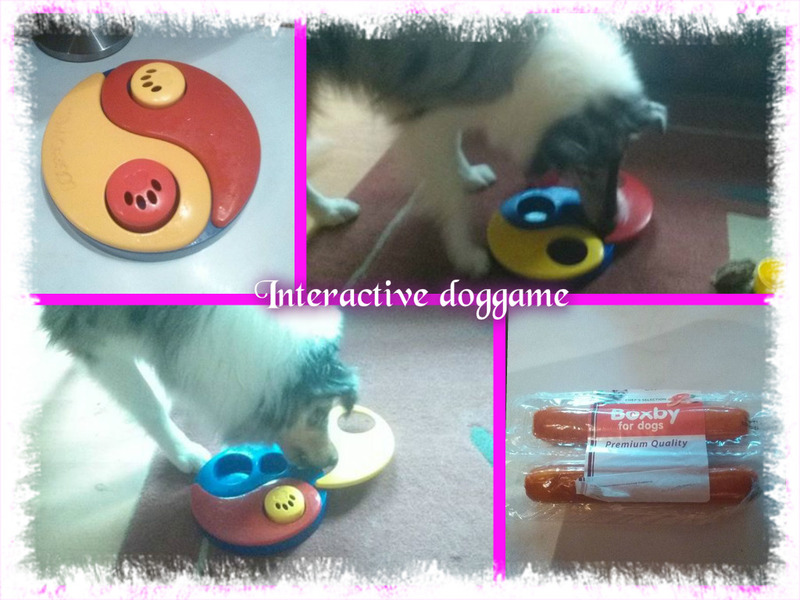 This game is I think from Outward Hound, but I'm not totally sure?? Ofcourse I trew away the box it came in, and I can't remember if it was expensive or not. I don't think it is very expensive, I like to spend money on this kind of things but I never spend of 30 euro's because I'm Always affraid the dogs destroy a game with 1 time playing. The sausage I used Anna won on a clubmatch, and because I had a subscribtion to the Woefbox, I had so many treats, they where still in my treatbox. Here is a filmclip of Little Lucky! !